If you're just starting out, be sure to check out Part 1 of this tutorial. If you're comfortable with everything in that section, awesome job! In Part Two, we'll learn how to read all the data being sent back to us, install cURL so we can make HTTP requests from the terminal, and we'll complete our developer environment. Ready, set, let's go! * Pretty printing is the application of various stylistic formatting conventions to text files, such as source code, markup, and similar kinds of content. These format changes can adjust positioning and spacing (indent style), add color and contrast (syntax highlighting), adjust size, and make similar modifications intended to make the content easier for people to view, read, and understand. 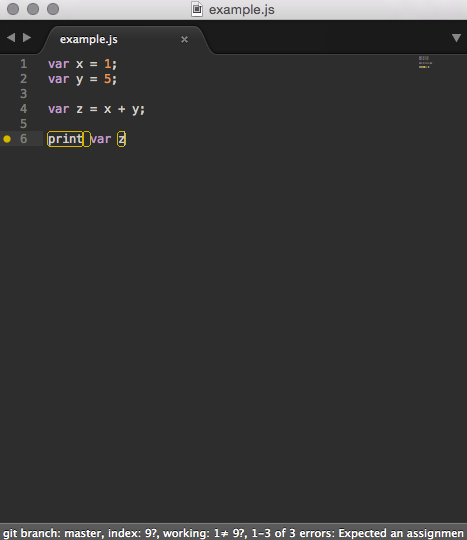 Pretty printers for programming language source code are sometimes called code beautifiers or syntax highlighters. You can run these statements on your command line (also known as your terminal) to try out various requests. And lastly, if you don't already have a Support account/subdomain, I recommend signing up for a Trial account here so you can play with the API freely without altering up your work account. If you really get into developing apps and scripts to enhance your support experience, Zendesk does offer sponsored testing accounts. Just email api@zendesk.com and we can extend the trial. Second example - Common ask: Help, I want to quickly get all tickets in my Support product! Because we want to read data, we'll use the GET method. 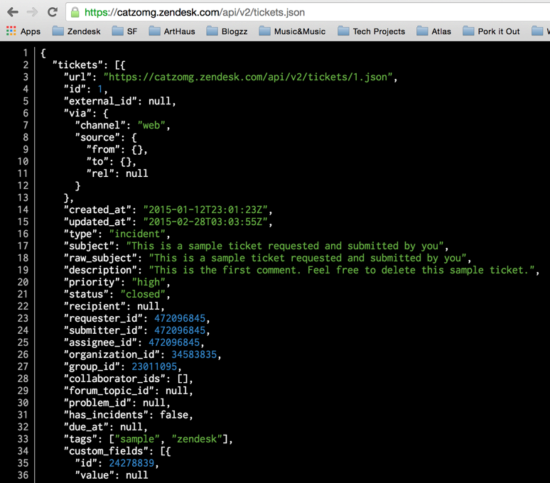 The Tickets API documentation supplies us with the call to make: GET /api/v2/tickets.json. Note: You have to be an admin in Zendesk Support to use this endpoint. See Understanding Zendesk Support user roles in the Support Help Center. Replace the generic fields with your Zendesk Support info. Remember to delete the curly braces, they are not needed to run the call. Next, open up your computer's terminal/command line. On a Mac, press Cmd + Space Bar, then type 'terminal'. Paste the edited cURL statement into the terminal and hit Enter. You're probably asking yourself, "How does the computer know we want to get that info? We didn't put GET in the CURL statement." There's a format for each type of request. We don't have to say GET in our request because by default, the computer will fetch this information since we didn't supply it with a reason to do anything else. By adding additional content and the -X POST, we change the request. More information on requests here. Okay so that last example was probably a lot of information, so let's figure out what's going on! To start, we need to pick a language to use. Why? Calling requests with the browser (like our first example), or cURL (like our second example), is great, but sometimes we want more robust information or want to create a lot of data at once. To really dive into our Support product and customize it completely, we need to write some scripts, or code. Let's go back to our browsers. Right click and select Inspect Element to bring up your console. The console is your best friend. It is also commonly referred to as a 'command line' or 'browser's terminal'. Simply put, you write something in the console, hit 'Enter', and the computer will immediately give you an answer. It's great for learning and just playing around. 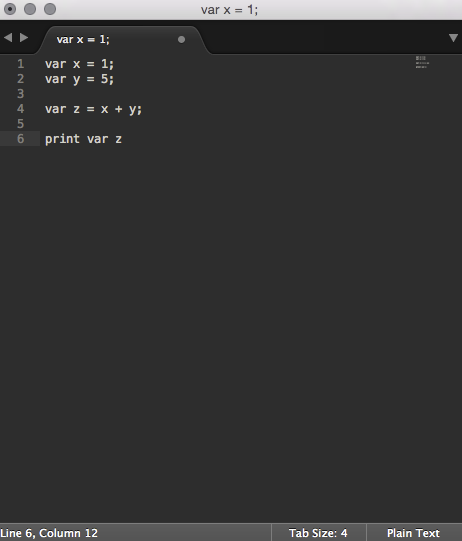 In your console, type var x = 5 and then press Enter. Now type x and hit Enter. What just happened? The console returns 5 because we just assigned it to x. And remember, don't get too caught up trying to remember how to do everything (because you won't be able to). We recommend writing a few lines, seeing what happens, and then getting back to this tutorial. We'll be linking articles throughout this guide so that as you work through it, you have additional resources for when you're ready to learn more. Code can easily be edited in a simple text editor, but developers often use specialized applications that are more comfortable for writing and editing code. Examples include TextEdit or Xcode. There are tons of editors available, but to keep things simple, let's all work on Sublime Text. It's donation-based, simple, and easy to use. If it's not already installed, download Sublime Text here. If you want to learn more about different file extensions and when to use which one, take a look at this resource. Install Sublime's Package Control. This manages all your installs and makes it easy to keep track of and access. The manual install may be easier. Let's install Node.js. I could try to explain what exactly Node is right now, but for simplicity reasons, just know that with Node installed, unpacking other modules and programs will be super quick and easy and your life will be better. Trust me. Install JSHint for Sublime Text by following the instructions here. 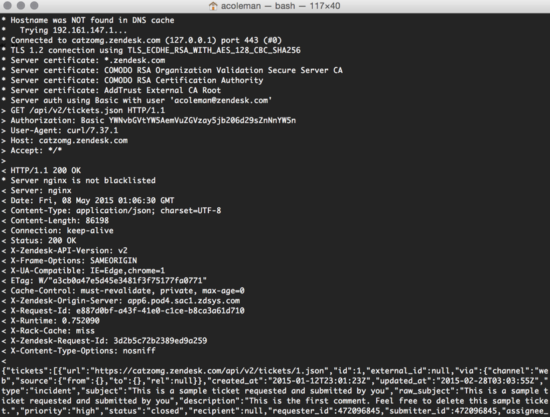 Since we just installed Node, you can simply run npm install jshint in your terminal (command line). If you get stuck, be sure to check each component was properly installed. The last part of our developer setup is fairly quick, but requires a lot of resources. We'll break it down into a manageable list as best we can. Install Node.js (if you haven't already). We'll need it to install future packages. Packages are collections of functions, data, and compiled code in a well-defined format. With the right packages, coding becomes a lot easier. Install Bower, an awesome package manager that will help you manage, find, and install what you need. Before moving on to Part Three of this tutorial, make sure you've completed all of the above steps and you feel comfortable with your setup.